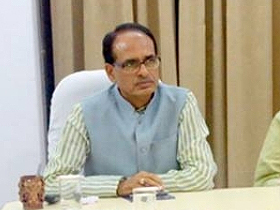 Chief Minister Shivraj Singh Chouhan said that the Minto Hall International Convention Centre is a fine example of heritage preservation. This has been restored without changing its original form. He was addressing the dedication function of Minto Hall International Convention Centre renovated at a cost of Rs. 65 crores. The Speaker Vidhan Sabha Dr Sitasharan Sharma presided over the function. 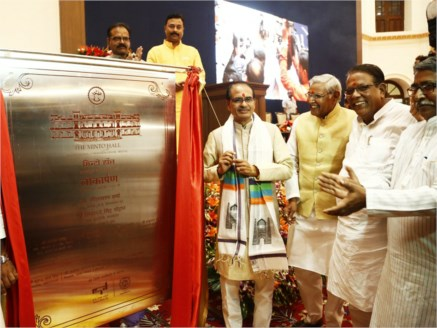 CM Chouhan mentioned that the history of this building is attached with Madhya Pradesh’s history. 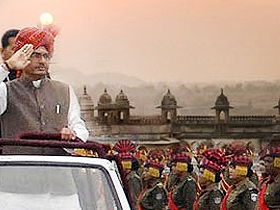 Madhya Pradesh has a glorious history of parliamentary traditions. Keeping in view the maintenance and better use of this heritage, it has been developed as an International Convention centre. He congratulated all, who rendered cooperation in completing this work. The Speaker Vidhan Sabha Dr Sharma mentioned that the people of the state have received a unique gift in the form of the International Convention Centre. This building has emerged in the new form after 185 years approximately. This historical building has seen many eras. The Principal Secretary Shri Hariranjan Rao informed that this centre has been made as per the heritage policy of the state. CM Chouhan honoured craftsmen, service team, interior decorators, members of engineering, architect and management team involved in the restoration work. A short film focusing Minto hall was showcased at the programme. He also took the round of the Minto Hall. The construction of the Minto Hall was started in the year 1909 and completed by 1936. This building was used as Vidhan Sabha from 1956 to 1996. In the year 2014, it was handed over to the Tourism Corporation for conservation. It has been restored without changing its original form. This building has a seating capacity of about 1100 persons. The restoration work of this heritage building has been completed within a period of 2 years by spending Rs. 65 crores. The Minto hall has been equipped with the most advanced audio-video system, fire extinguishing system and air conditioning system. The original paintings made on the walls of this building have been kept intact. The building has been renovated using an old technique.